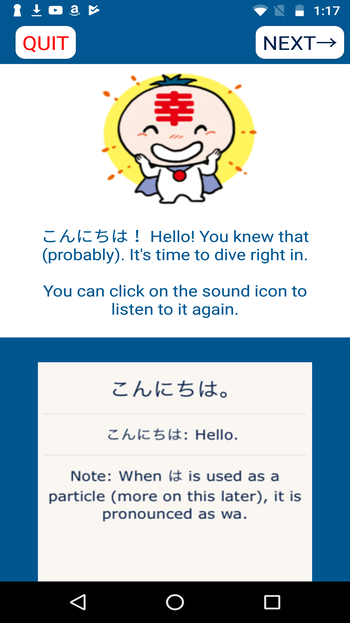 The Jalup App, released in 2018, is hopefully helping you power through all of your Japanese studying. As it grows and becomes more complex, I realized it would be useful to have a full guide on this site to assist you in navigating the app, revealing some features you may not have noticed, and giving you some bonus tips on how to make the most out of it. Since the iOS version was released 6 months earlier than the Android version, there is a lengthy game of “catch up” being played. If a feature says “iOS,” it doesn’t mean it is an exclusive feature, it just means that it will be added in the future as I continue development. There is a lot planned over the coming months and years, so expect frequent updates on this guide. If you have any questions, suggestions, or feature ideas, leave them in the comments section below. I couldn’t download a deck after purchasing it. What do I do? Reset your Progress: Maybe you want to start over? Maybe you want to test some stuff out and then revert everything. You can reset your progress on a per deck or total decks basis. Interval Timing: adjust how far cards are pushed back into the future when marked as correct. Normal→1x, Short→0.66x, Long→1.33x, Very Long→2.5x. Auto-Play: set your card audio to automatic or manual. Reviews Due: Some people like to get their reviews to zero for the day, and not see them slowly start to reappear as they become due. Set your reviews to come in only once per day, or trickle in when due. Repeat until you get to 0 reviews. 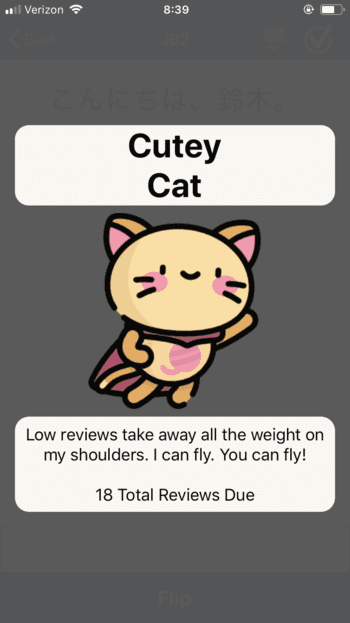 (iOS) Review monster: a friendly pet that “motivates” you in a playful way to keep your review number down. Choose between a cat, alien or a dragon. 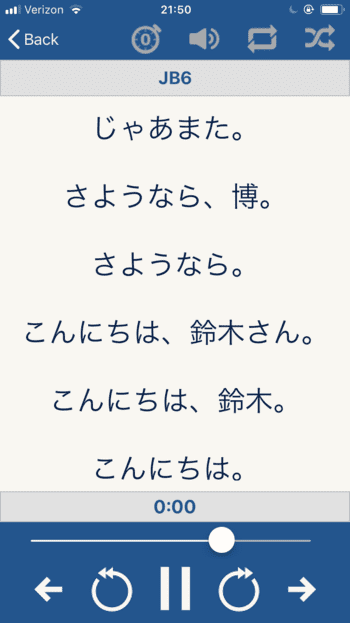 Kanji Kingdom Display: as you progress through Kanji Kingdom, the way you study it will probably change. 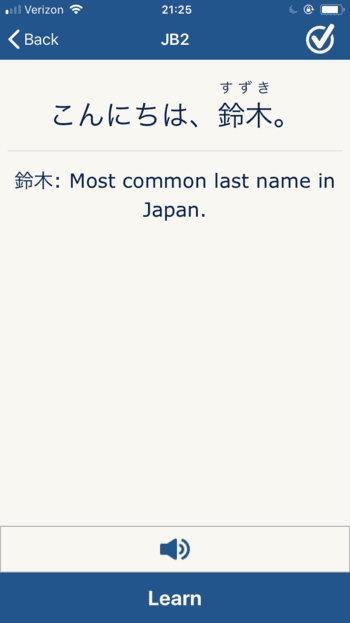 Here you can change the amount and type of info displayed. 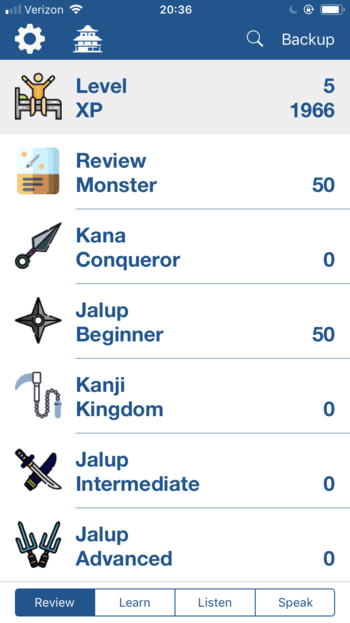 Jalup includes 100 free cards from every single deck for you to try out, and see if you actually like the app. After that you will need to purchase decks, which contain the rest of the cards from each level. Or you can purchase the Maximum package, which not only provides the greatest value, but also gives you the ability to upgrade it for free any time a new deck is released on the app. Depending on the deck size, it may take some time for the app to download and load all the cards. Give it time to work. If for some reason it freezes after several minutes of waiting, you can always turn the app on and off to do it again. If you still have problems, send me an e-mail. These are only averages, and your mileage may vary significantly. There is nothing wrong with going significantly faster or slower. Your deck purchases are tied to your Apple or Google Play account. If you log in with the same account on multiple devices, you are able to use your purchases across them. The restore button allows you to load purchases onto a new device. If you bought an earlier deck (ex. 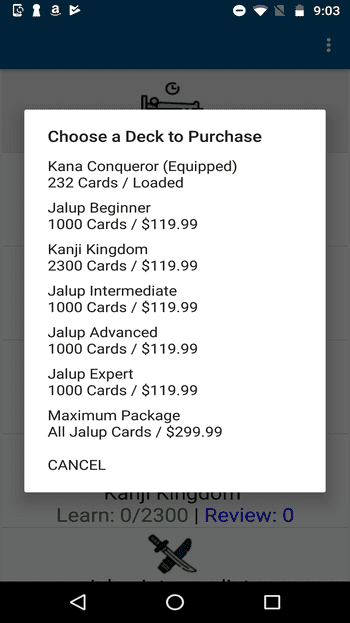 Jalup Beginner), you can still buy Maximum, to add the remaining decks to your account and get the free upgrade feature. 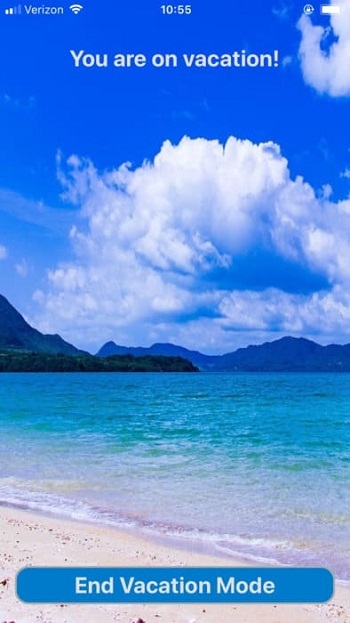 Just purchase the Maximum package normally and the app will do the rest. No discount is applied to Maximum even if you already bought a previous deck. 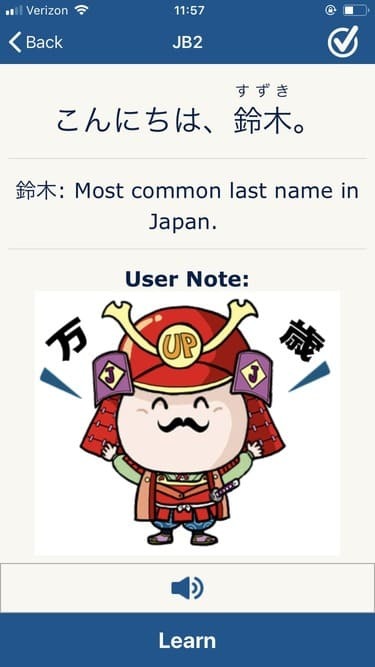 Please keep this in mind when deciding your long term Japanese study plan. Do all kinds of advanced searches to find your cards and what you’ve learned. When you do a search, the word you search for will be highlighted in red, and will show up as a hit, whether it appears in the sentence or the definition. 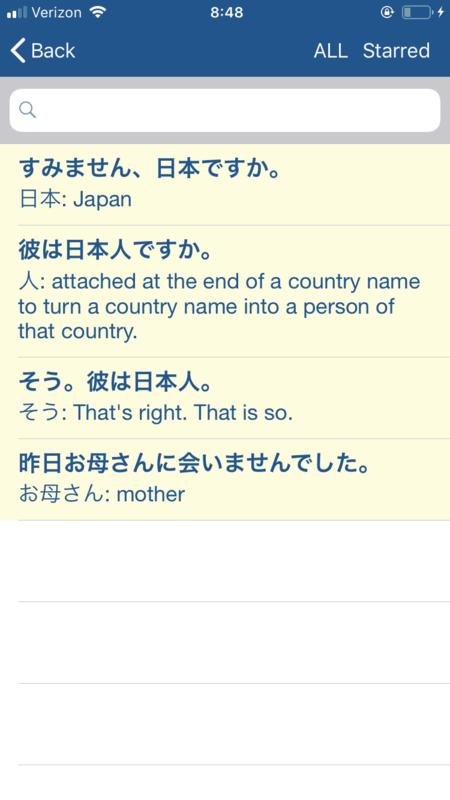 This makes it easy to see examples of how the word (or part of the word) is used in all your cards. 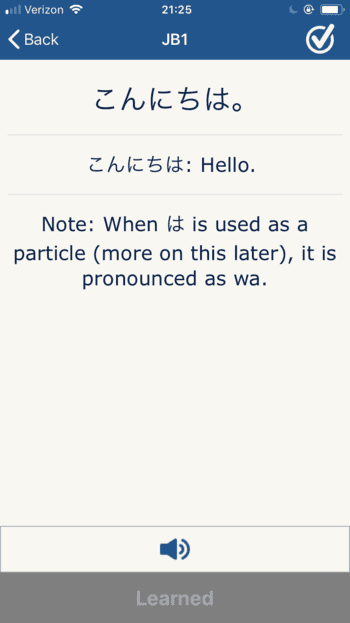 (iOS) If you tap on a sentence, it will open that card. By default, searching will go through all the cards you own. You can narrow down your searches by specific deck and/or whether you have already learned those cards. You can also narrow down searches based on whether you have starred or frozen a card. 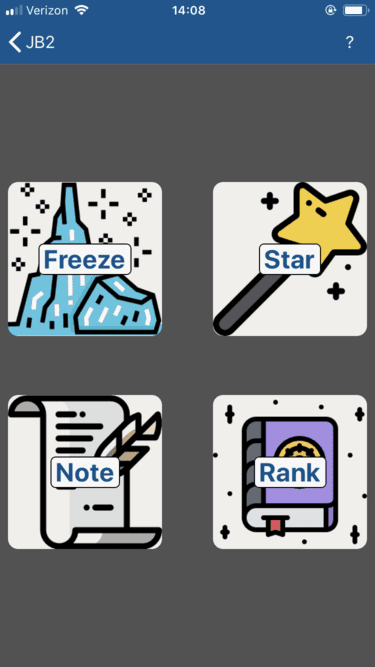 And finally, from any search, you can mark (or un-mark) a card as frozen or starred, by swiping left on the row that the card is in. *Note: You can’t star and freeze a card at the same time. You work hard, so you want to make sure you have your months and years of progress securely saved outside the app in case your mobile dies. You have the ability to export and import your progress into a .csv file (which is a basic spreadsheet you can open in Google Sheets or Excel). It takes a second to do, and frequent backups are recommended. 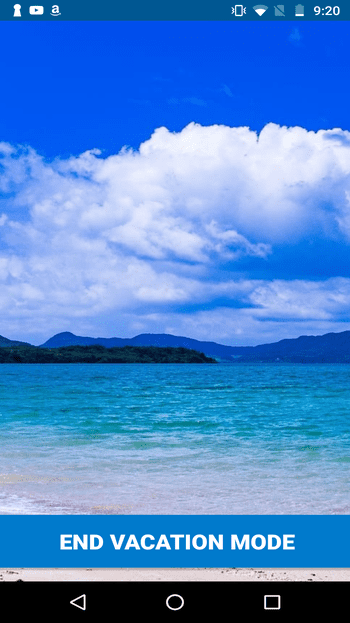 There is no automatic online syncing, so you are responsible for keeping your own backups. However, depending on your mobile device and settings, usually automatic backups of your app data are taken periodically. Even if you forgot to take a manual backup, there is a chance that your device has taken a backup of the data. However, I can’t guarantee or control that, which is why manual backups are encouraged. Easily move data between devices. Restore your progress when you delete or reinstall. Reset and test things out, and then return your data to the way it was. Freeze or star a large group of cards (even an entire deck), by changing column K to 1 or 2. If you backup and then import the exact number of rows (ex. you have 6532 rows in your .csv and 6532 cards in your database), importing time is fairly quick. If they are not equal, the database has to do a check against every row, which adds a bit of time. You can import any amount of .csv rows you want into your database, regardless of the size of your database. The only thing to watch out for is that only the data you import from .csv will be overwritten. Ex. You own 6532 cards, and have learned 1,000 cards from JB. You import a .csv with 600 rows, which contain 100 JB cards that have not been learned. 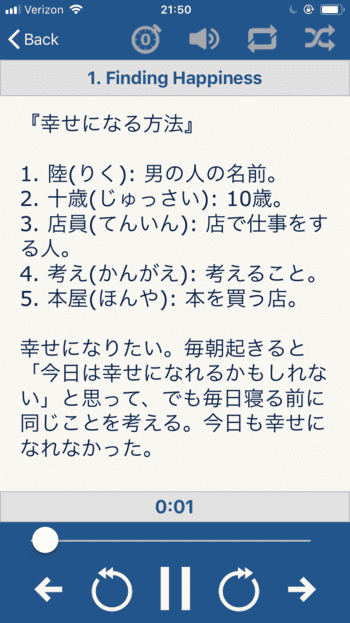 The result will be 100 JB cards unlearned (the imported part) and 900 learned cards (the original database amount). If you want to rewrite all data in a situation like this, first reset your deck(s), then import your .csv. 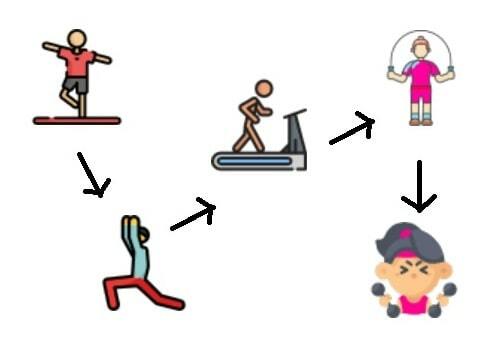 There are 99 levels, and as you level up, your icon starts to train and get stronger. 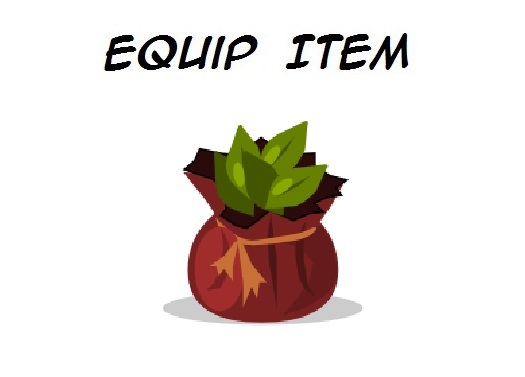 There are 40 icons in total and you get an upgrade every few levels. 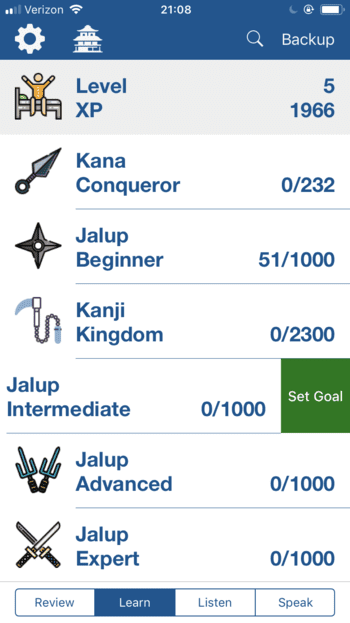 The levels on the Jalup app do not follow the levels on this post. It’s too complex (and inaccurate) to measure levels like this through the app, so consider this more of a fun way to keep track of how far you have come. If I was forced to make a comparison, I would say that maybe the app levels go 2-3x as fast as the levels on the blog. Ex. If you are level 20 on the app, you might be level 7-10 according to the original level guide. It’s not exact though. The cards you learned and reviewed for the day. 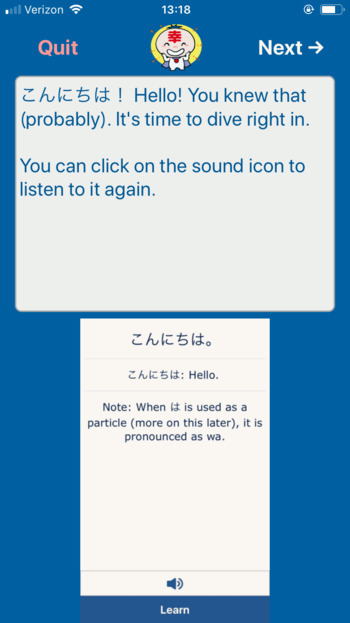 (iOS) You can access the card by tapping on it, or copy the sentence to your clipboard by tapping and holding for a second. From the Learn screen, swipe left on a deck to set a goal. Choose when you want to finish this deck. 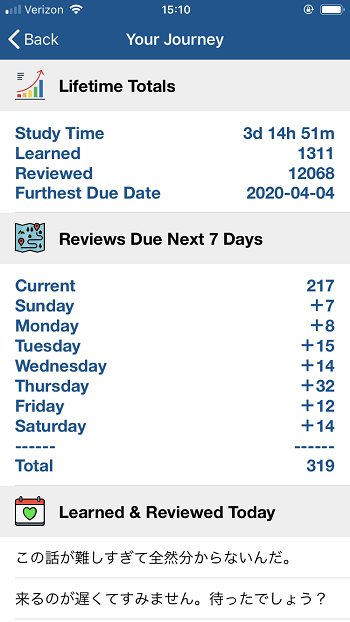 Depending on how many cards remain, and the total days remaining until your goal due date, it will calculate a daily learn pace for you to meet your goal. When you have daily cards to learn for the day (in order to meet your goal), the deck will be highlighted in green. If you swipe left on the deck, it will show you how many cards you need to complete for the day. Once you complete them, it will revert the deck back to blue. 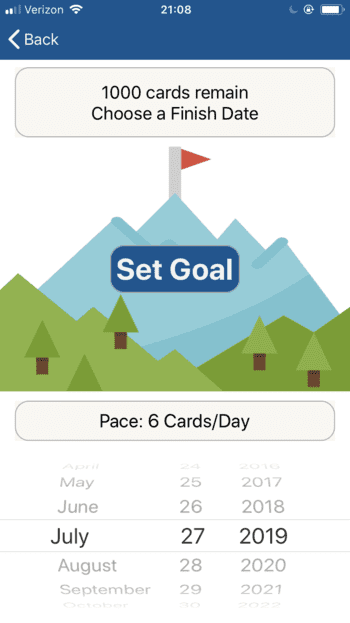 If you miss a day’s goal, it will recalculate the missed cards back into your total count. Your daily learn goal is figured every day to make sure it meets the pace for the goal you set. If you fail the goal (the date you set), the deck will turn red. You can set a new goal or a delete a current goal any time. iOS has the different locations of the home screen split into tabs at the bottom. Android has things more compact requiring a tap on a deck to choose what you want to do. (iOS) Your review monster and status will be displayed if turned on from the settings (the above screenshot has it turned off). 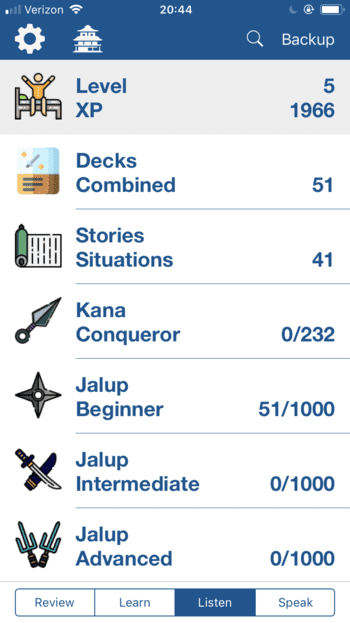 Access the immersion player for specific decks, combined decks, or Jalup Stories & Situations. You can only listen to the cards you’ve already learned. 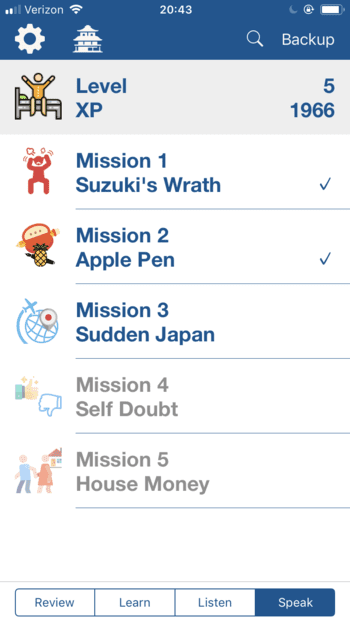 There are currently 5 speaking missions, with each mission covering around 50 Jalup Beginner cards (in order). You must complete previous missions to move to the next one. 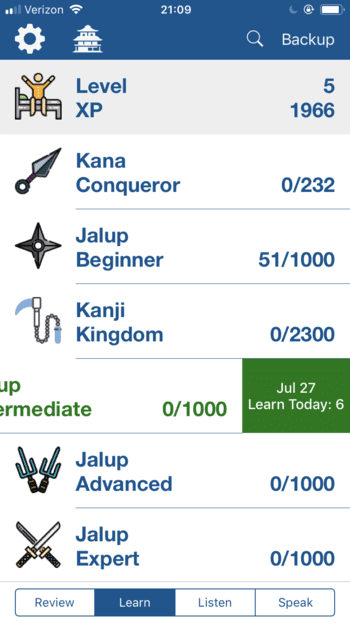 The first 2 are samples, and the remaining 3 are included with a Jalup Beginner purchase. 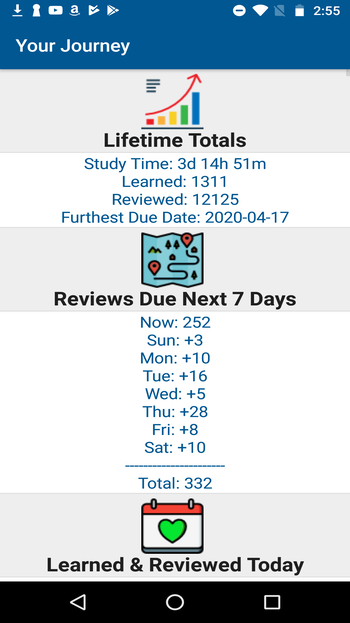 Review: What you do with all those learned cards, for the months and years to come. 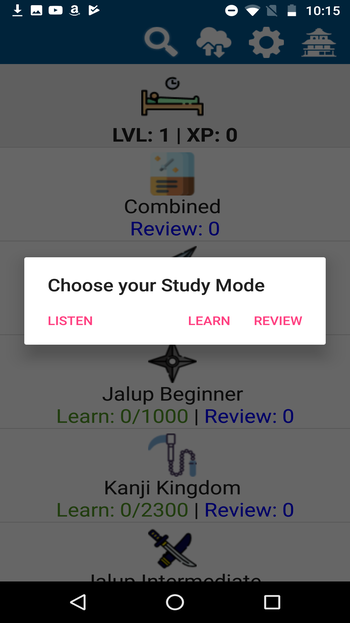 The in-app tutorial tutorial provides a very in depth explanation about how to learn and review with Jalup, so if you are confused, follow it carefully. The most important feature, which you will use to death, is known as card linking. 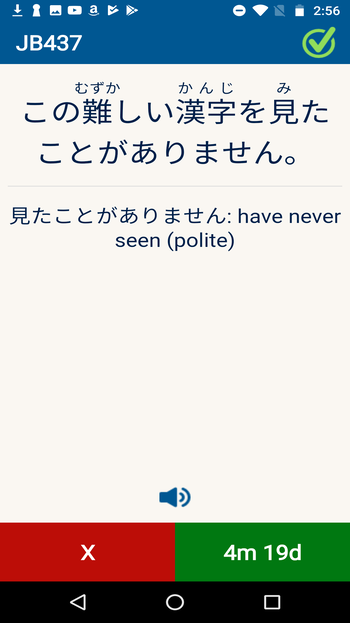 This is the ability to tap on parts of a sentence to have it bring up the original card(s) where you learned that Japanese. 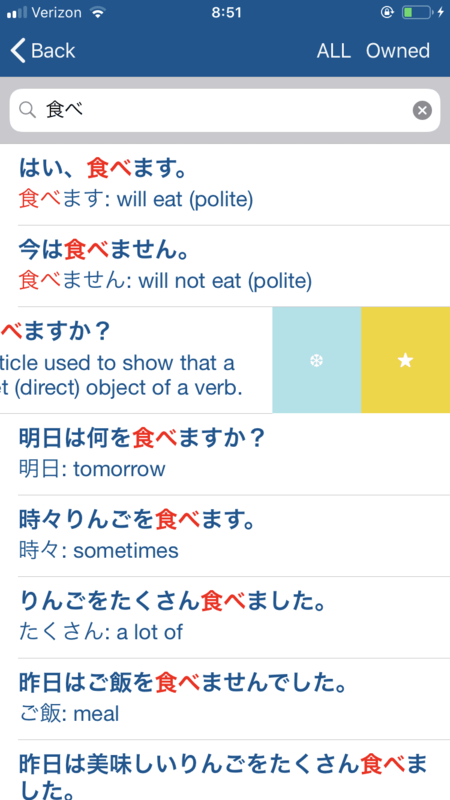 Spaced repetition is simple. After you learn something, if you review it over increasingly growing timed intervals, you will retain it longer. 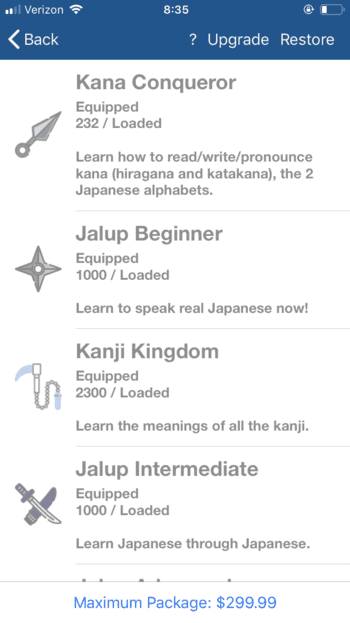 That is the heart of the Jalup app. A lot of other small things go into it to make sure that cards are set for review at the perfect time. However, you can adjust the intervals from the User Settings on the home screen. Want a sneak preview of what is to come. Card peeking can be used on both Learn and Review mode. 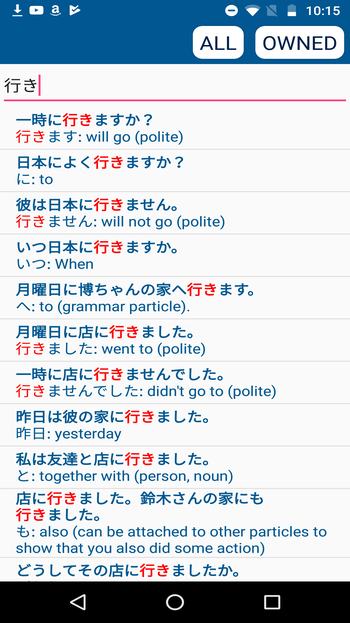 For example, assume you are learning card JB2. If you swipe left or right, you will get to peek at the cards before and after it (you can do this repeatedly). On card peeks, you can use card links, activate card stats, and star cards. The only thing you can’t do on a peek is freeze a card. The review monster is a friendly way to pressure you into completing your reviews. Keep your review monster happy by getting the count to zero. Or watch as it becomes increasingly agitated. While in review mode, you can see as your review monster transforms (changing icons and getting highlighted with a yellow box). This is a useful way to see how far your reviews have gone down visually, rather than have a number in your face bogging you down. *Note: this can all be turned off from the settings. An easy way to glance at your card accuracy is to note the color of the checkmark in the top right of the screen. If it is green, your accuracy is above 75%. If it is white, below 75%. Cards that have not yet been reviewed have no accuracy, so always appear white. When you tap on the accuracy checkmark, you open up Card Tools. Tapping on the accuracy checkmark opens up Card Tools. This allows you to freeze, star or view the stats of a card. Remind yourself of something important, list little discoveries that you make on subsequent reviews, add outside example sentences, or add memory mnemonics. Editing can be done in or outside app. By using the backup sheet you can make big changes all at once to your notes. *For those who use both iOS and Android (with imports and exports to sync progress): Android can’t handle notes yet in your backup sheet. 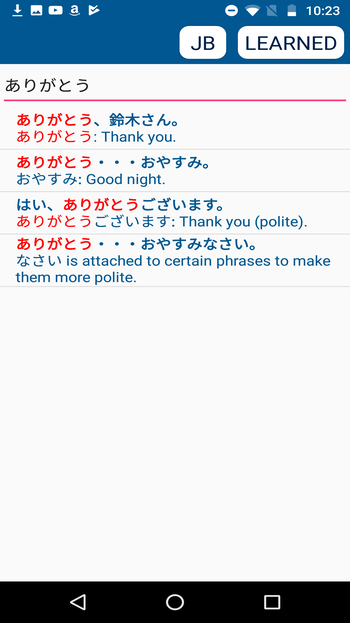 Your notes will not be included on an Android import (or a subsequent export from Android). 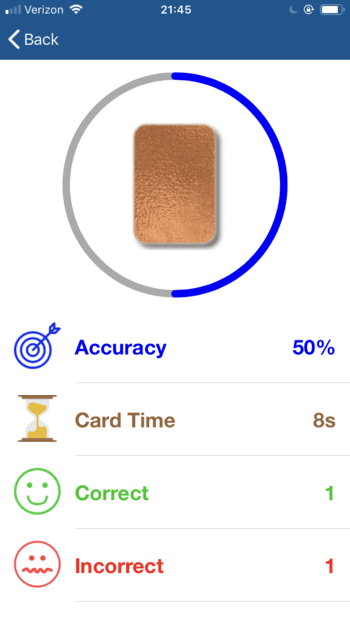 See your card accuracy, time spent reviewing the card, and how many times you’ve marked the card correct or incorrect. A card has 6 ranks, and every time you review it with the green or red button, it will increase or decrease that card’s rank by 1. Ever wanted your own immersion player in your pocket, that could play all the sounds of what you’ve been learning? Choose a deck (or combined decks), to listen to all the cards that you’ve already learned. 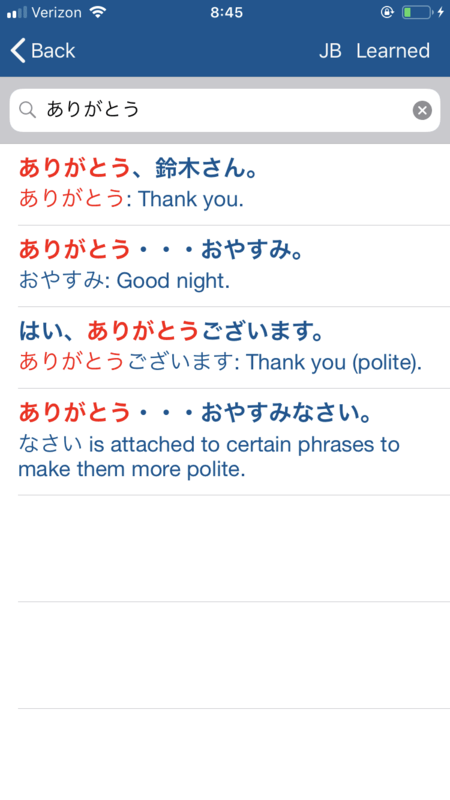 Each sentence will be read aloud one at a time, and appears at the top of the screen. They are in order, but if you want to change this, tap the random button at the far right. 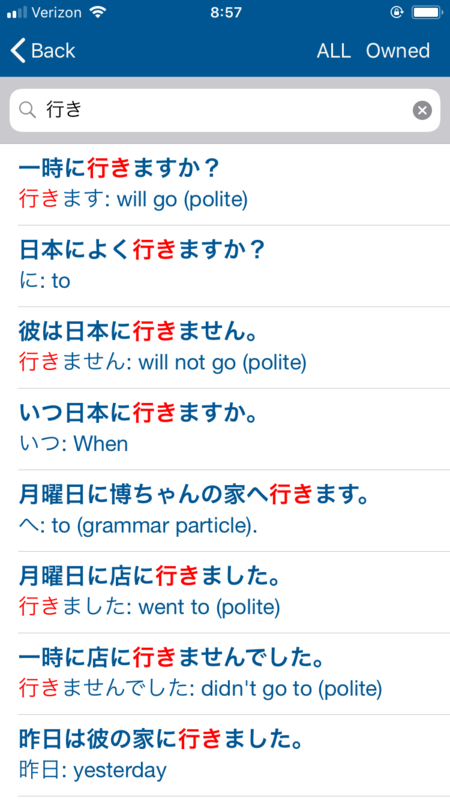 You can also turn a sentence on eternal repeat with the repeat button, or adjust the in-app volume (iOS). One of the most unique and powerful features of the immersion player is the shadow timer, which at default is set to 0 seconds. This is the amount of time in between tracks, and gives you time to shadow (mimic out loud) a sentence you just heard. You can set it between 1 to 5 seconds depending on your level and how much time you need. 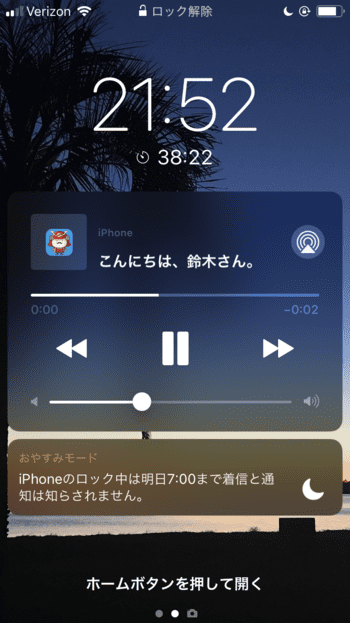 The immersion player is fully available with the lock screen (iOS), or the screen completely off with the phone in your pocket. 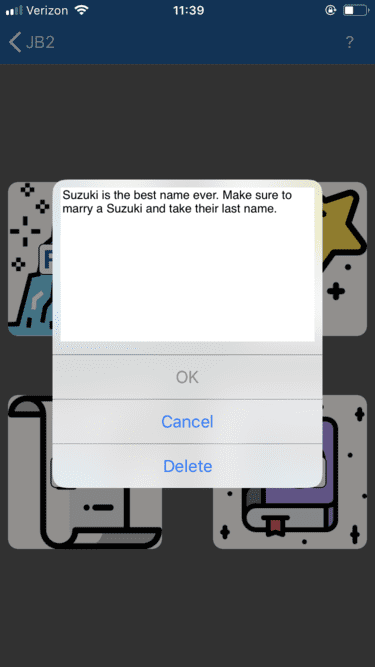 It actually even works on Car Play, with the sentences appearing on screen. However, this is a side effect of the title of each track being the actual sentence. Unless you are the passenger, do not look at sentences while driving. This is dangerous. Listening practice is good enough. 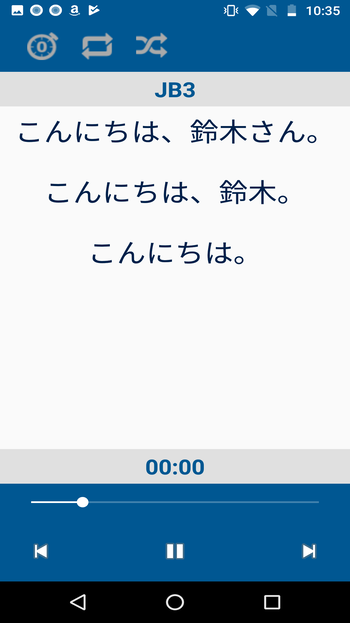 (iOS) You can also access Stories and Situations through the immersion player. 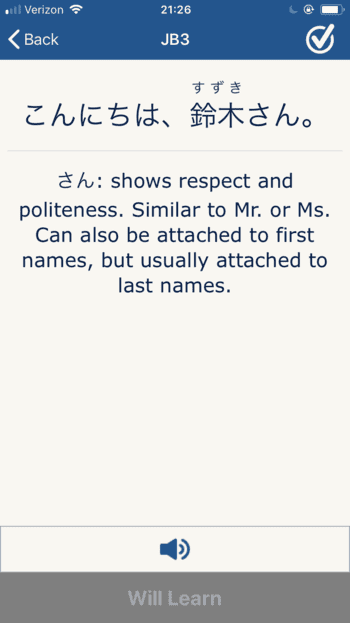 Using a scrollable script, you get much longer and in depth Japanese to practice, that uses only the language you’ve learned from the respective Jalup decks. This is a very experimental feature, utilizing the microphone and speech recognition of your mobile device. It engages you in situations where you must say the right thing to further a conversation along. 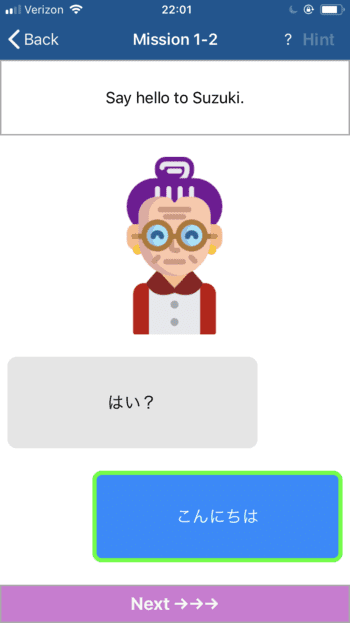 It tests your pronunciation and your ability to figure out what to say. There are plenty of hints along the way and multiple correct ways of saying things. If you get stuck, eventually you are given the answer(s). Ex. you would be given the following, and after pressing the start button you begin speaking. I said the phrase Konnichiwa into the mic. The speech recognition picked up the phrase I said, and marked it as correct, allowing me to proceed. If it was incorrect, you can press stop followed by start to clear what you said, and then try again. Q. I couldn’t download a deck after purchasing it. What do I do? A. A download is occasionally interrupted upon purchase. 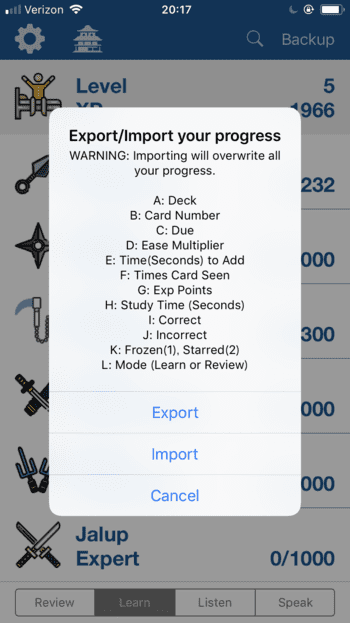 If your purchase went through but your deck doesn’t show up, the easiest solution is to 1) backup your progress 2) delete the app, 3) reinstall the app, 4) restore your purchased deck 5) import your progress. This usually fixes any download issue. If you still have a problem, please contact me. Great to have a guide to know all the features. And also nice to see from the iOS features what neat stuff is coming to Android with time! Great :) I figured some features had slipped past some people because the features weren’t that obvious. I was wondering how the levels correlated. I also learned a few new things as well. Thanks for putting it together. Excited to see what the future holds. 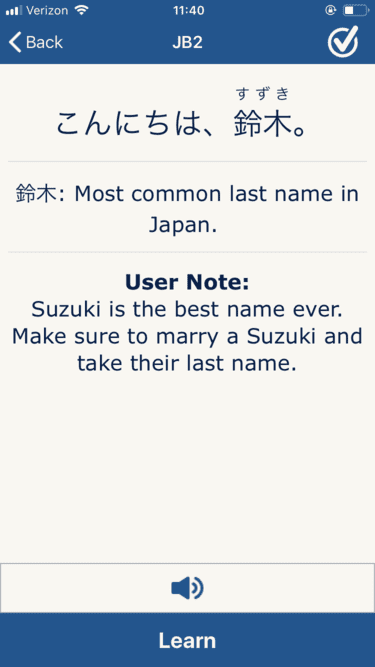 There’s a lot to learn on the app. 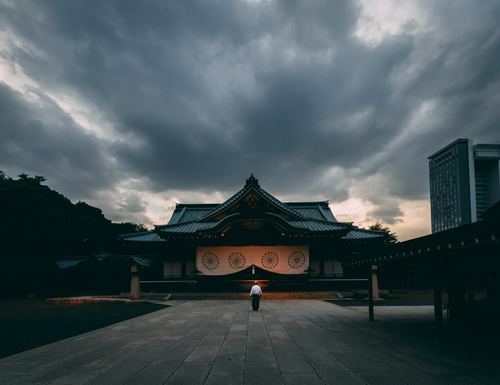 I hope you continue enjoying it for a long time. :D Awesome, i hope some of those nice iOs features soon come to pass on the Android. My most liked feature would be the Player, so i can listen to what ive studied while im doing something else like walking from a to b. They will, in due time! I’m in love with the speaking and listening features. I find them to be very helpful. I hope there are more speaking missions on the way. Eventually I’ll add a bunch more. My original plan was 20 per level, but that was a bit of an overly ambitious goal! Super excited about the app, need to save some for all card access though.. looking forward to the extra functionality as well from the iOS versions too. Def planning on using what I can in the meantime. Thank you! Thanks Corri. The Android version will continue to evolve, as I know a lot of people are waiting on it. After using the app a few times now, I found that I miss one feature. I miss a way to undo my last review. 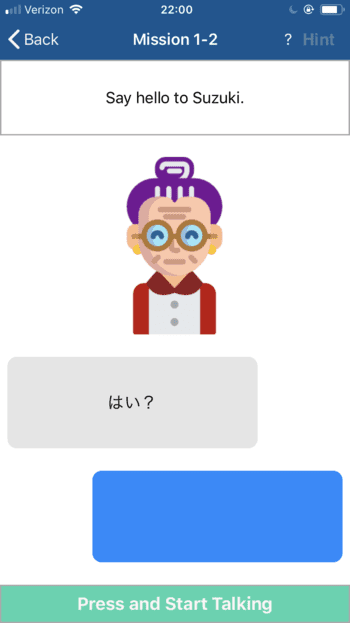 It happened to me, that I accidently hot the big red button instead the button for a correct answer and simply couldn‘t find a way to change my answer. Is this feature already aviable and I only failed to find it ? Currently no. But it is definitely one of the most requested features, and will be added to a later update.